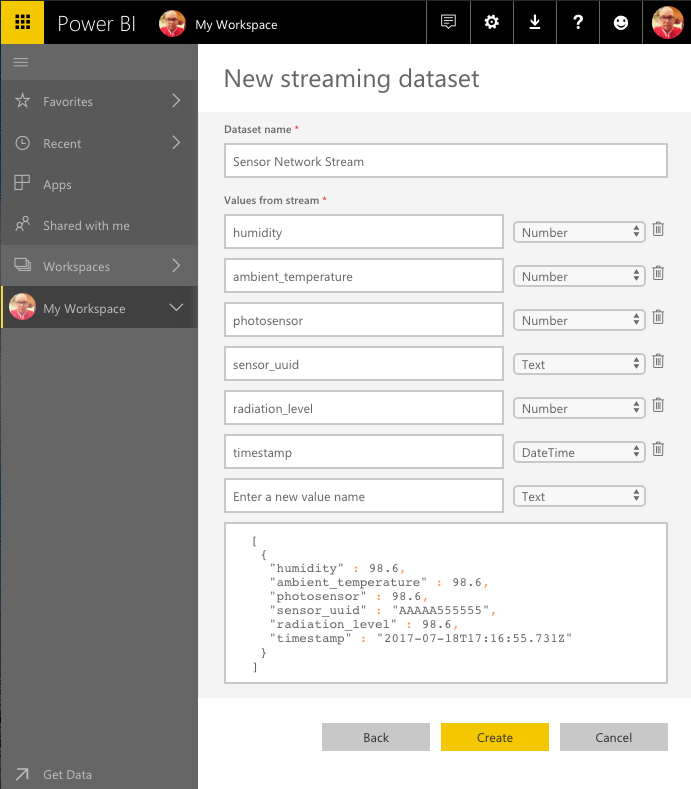 I was recently asked to provide a simple demo/proof-of-concept on how to quickly create a real-time streaming dashboard with Power BI. 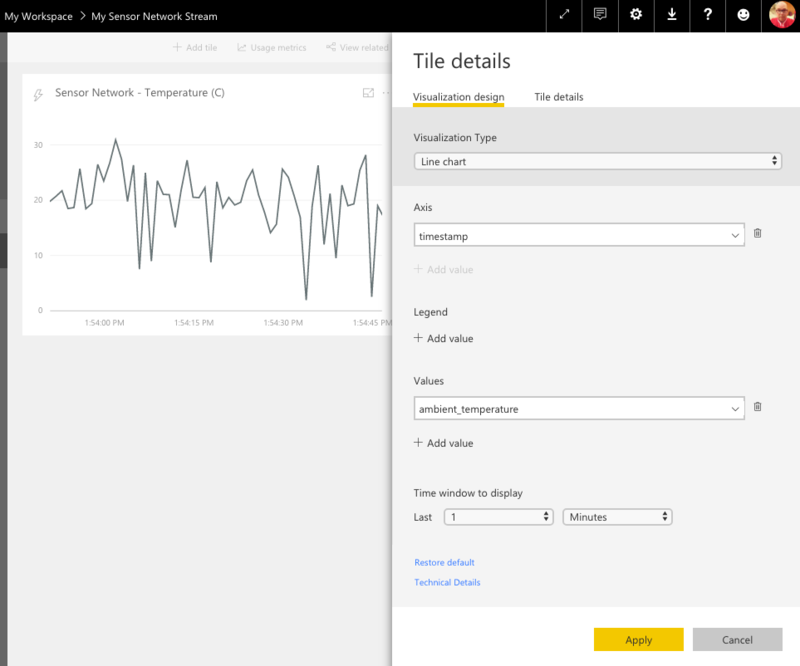 Did you know that you can stream data and update dashboards in real-time? 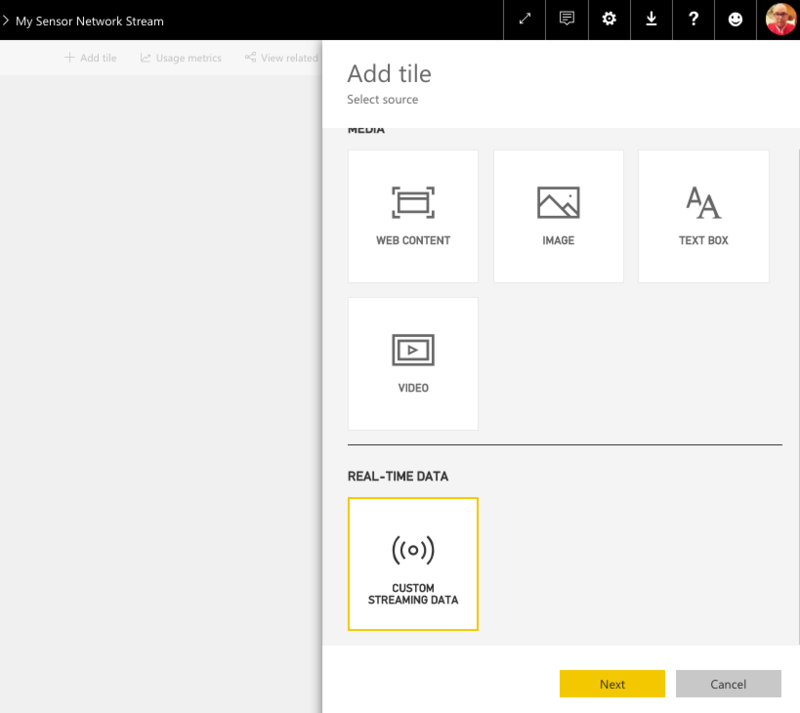 Any visual or dashboard that can be created in Power BI can also be created to display and update real-time data and visuals. 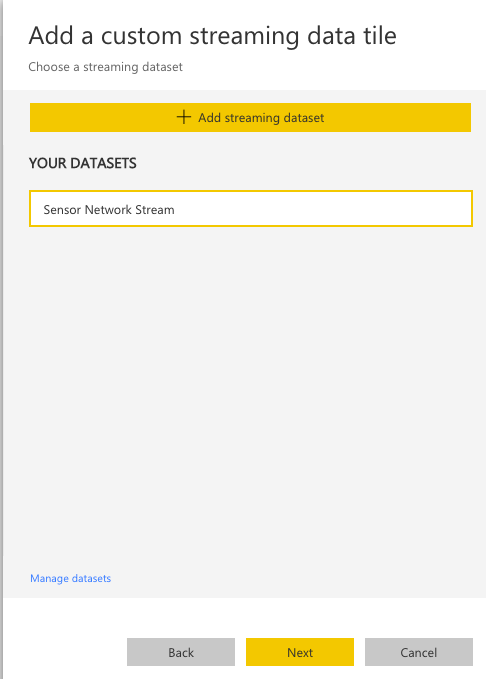 The devices and sources of streaming data can be factory sensors, social media sources, service usage metrics, and anything else from which time-sensitive data can be collected or transmitted. So what is PubNub? 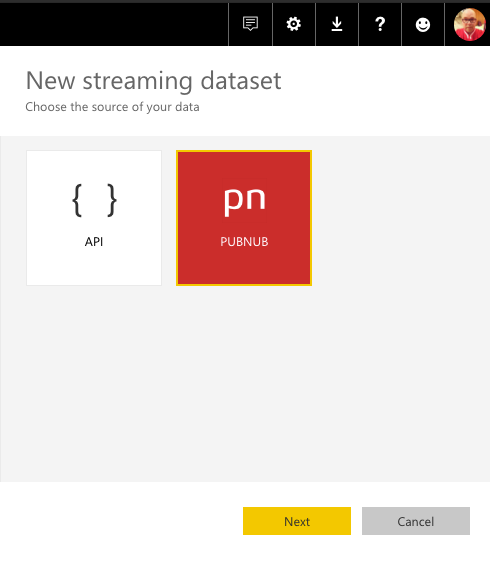 PubNub is a global Data Stream Network and realtime infrastructure-as-a-service company. PubNub’s Data Stream Network is a high-speed publish/subscribe messaging layer, it’s deployed globally, and makes it easy to connect and scale realtime apps without managing a dedicated infrastructure for your realtime applications. 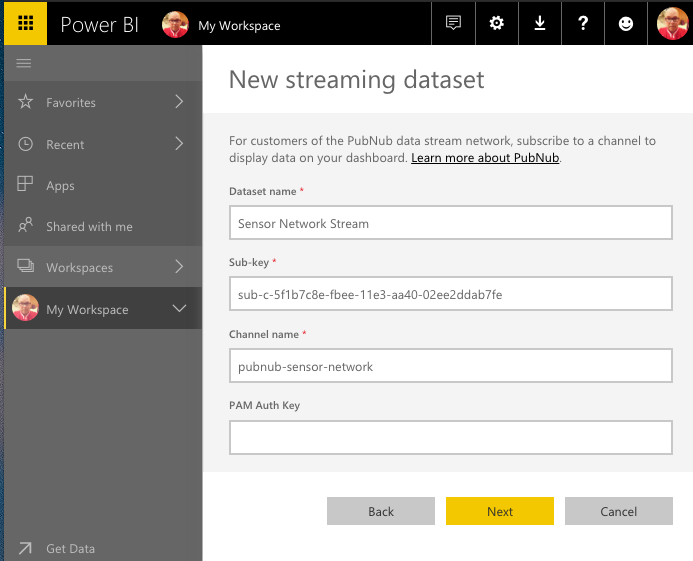 PubNub provides live syndicated data streams that you can use in your project. We are going to use the following stream Sensor Network (simulated), which mimics data from a network of outdoor field sensors. 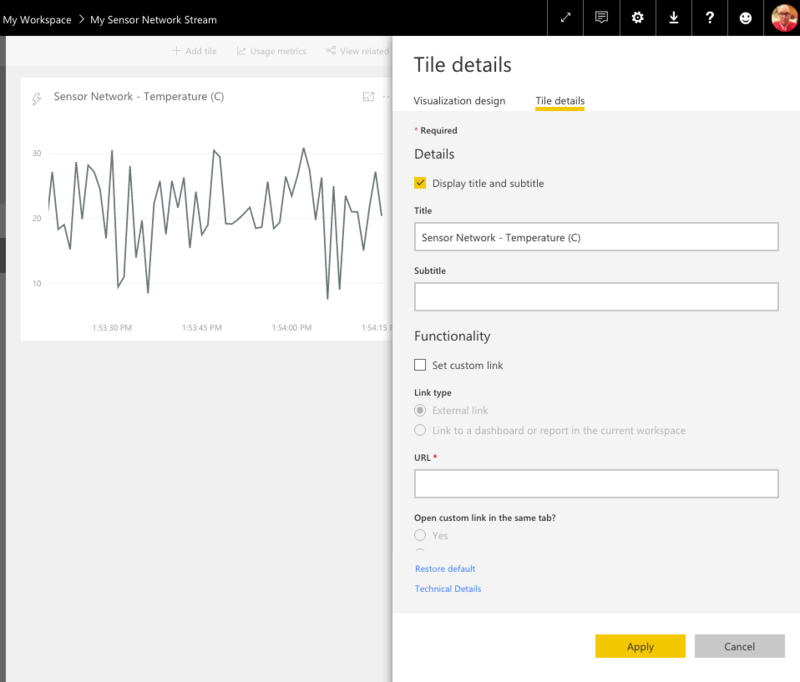 Hopefully you already have a Power BI Pro account, if not you can sign-up here and get started now with a free 60-day trial of Power BI Pro.